I was the classic horse-mad, horse-less child. I had a huge collection of pony books and the most amazing collection of little plastic horses, all of whom had names and unique personalities. My best Christmas present ever was a stable for my toy horses – it was white with a red roof, and I played with it for years and years (it’s still in the attic). I never walked – I trotted or cantered everywhere, and could not see a field of grass without imagining myself and my dream pony galloping effortlessly over it. I drew horses constantly – every one of my school books was embellished with equines prancing their way through pages of maths equations or French grammar. The poor misfortunate family dog learned to proceed in a balanced and athletic way down a jumping lane at the side of our three bed semi and jump a course of “show-jumps” in the front garden at the end of a leash. Not only that, but she was also the first animal I ever lunged… she had the patience of a saint, did Sherry! My non-horsey parents were a bit bemused by my passion, but nonetheless they arranged lessons for me at a nearby riding school sometime around my eighth year. Riding lessons were a dream come true for me, after each lesson I would sit quietly in the car during the journey home, head leaning against the window, reliving every moment of the ride. I would be so uncharacteristically quiet that my mother used to think I felt ill after riding! When I was fifteen, we moved to the country, and I was sure that the pony I had dreamed of would arrive, but sadly it was not to be. I became a willing helper at the riding school instead, and spent many long hours there, grooming and tacking up horses, taking tourists out for treks, helping with hay and feeds – all the little jobs that need to be done in every yard. I finished school and moved on to College in Dublin, still drawing horses on every bare piece of paper I found, but sadly lacking the self-confidence to join the College Equestrian Society or even approach one of Dublin’s riding schools offering myself as a Saturday helper. Eventually, I returned to Ireland, complete with the fiancé who would later become the Long Suffering Husband. He was keen to learn why horses were so special to me, so we enrolled at a local riding school together, and my enthusiasm and confidence were rekindled. The first horse (a disaster, more about her later) arrived shortly after our first child, then the years started to whirl by in a blur of children, dogs, schools, horses, birthday parties, ponies, hunts, show-jumping, new homes, new friends and finally a new business – I started to run my own livery yard. The child who played with her toy horses and stables for long hours on the bedroom floor never once thought that her dreams of owning REAL stables and REAL horses might someday come true, but they did. Both of our daughters were talented little riders, and were keen to go show-jumping, so they headed off to various shows with the LSH most Sundays. At the same time, I was very active in the local riding club, helping organise and run club events and competing with my little mare Hally, who had the sweetest temperament but was sadly prone to lameness. 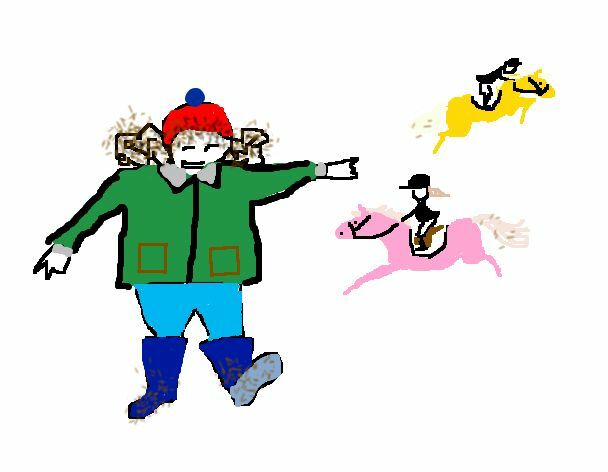 I had an epiphany moment one wild and windy autumn Sunday, when I was at a Riding Club cross-country training day. I remember clearly standing in the middle of the field, mobile phone clamped to my ear, listening to my little daughters excitedly telling me about their clear rounds on their ponies. I CAN’T MISS OUT ON THIS, THIS IS A HUGE PART OF THEIR LIVES, I realised. I resigned from the RC Committee at the next AGM, Hally was retired and put in foal (see here for the result) and I became the dreaded Pony Mum for the next ten years – wild hair, wax jacket and wellies, trundling kids and ponies all over Ireland to cheer them on from the sidelines, my own riding career completely shelved while I lived my horse life vicariously through my daughters. The Dreaded Pony Mum! Yes, we had a pink pony and a yellow pony! In the final few years of my Pony Mum career, the focus was very much on dressage. Seeing a general dearth of willing helpers in the Dressage world in Ireland, I became more and more involved on the organisational side of things, happily giving something back to the Horse World which had given our family so much pleasure over the years. I tried particularly hard to get more youngsters interested in dressage – not easy in a country where the focus is still very much on jumping, cross-country and hunting! The Eldest Daughter had given up riding at the age of sixteen, but the Youngest Daughter seemed a bit keener, and at one stage even harboured thoughts of making a career out of riding. Eventually, though, the interest began to wane – two difficult years, the final year of school and the first year of College, combined with trying to school her horse from Medium to Advanced Medium, took the lustre off her love for horses, and my Pony Mum years were suddenly over. I was 48, and the rest of my life stretched out before me….. possibly horseless. Was I prepared to face a future without horses? NO I WAS NOT, and so Flurry arrived. Two years later, I took over the Youngest Daughter’s competition horse, Aero, because I couldn’t bear the thought of selling him. I struggle to cope with his narrowness and his super-bouncy strides, but we’re developing a nice relationship! To complicate matters, the LSH and I then decided to relocate to France for a year, with a view to staying on if all goes well. I had one last summer in Ireland, helped at a few horsey events and competed Flurry a couple of times and now we’re all adjusting to life in Provence. Join me as I continue to figure out a horse that’s too good for me, a naughty dog, a foreign language and a heart-stoppingly beautiful country. I hadn’t noticed. Thanks for saying you did!! Must get my blogging mojo back in gear. Your header shot is lovely! Lol, yes in many ways it has! It doesn’t just happen, though, you have to make it happen! 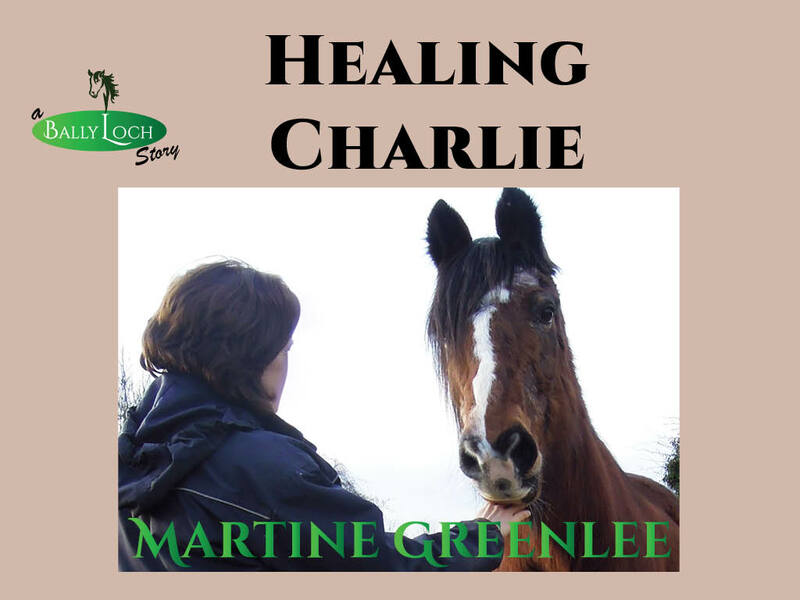 Just found your blog and love your story, I grew up horse-mad in Luxembourg with my Irish parents. Didn’t get much saddle time as a kid bar the best summers of my life on the family farm in Cork. I finished school and moved to Ireland for university and was delighted to get to ride & work with the horses every weekend. My dream came through when i turned 21 and my parents said they’d help me buy a horse, said horse +1 have since moved back to Luxembourg with me when I was blessed and found a job in recession 2010! I’m definitely going to stalk *ahem* I mean follow your blog from now on! You sound an awful lot like me! I love your voice, and I, too, have a LSH. I’ll be following your blog from now on. I think we are far from unique! Thanks for commenting and following along with me.